Holy crap this game rules! 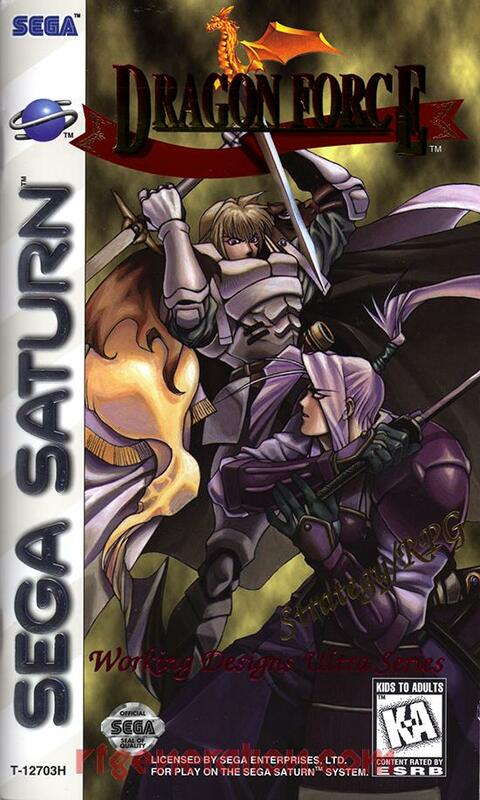 Dragon Force is a rather unique strategy game for the Sega Saturn that mixes turn based strategy with real time tactical movement, decision making, and party building. Development was started by a company called J-Force, but Sega itself eventually took it over and finished it. In North America it was localized and released by Working Designs. 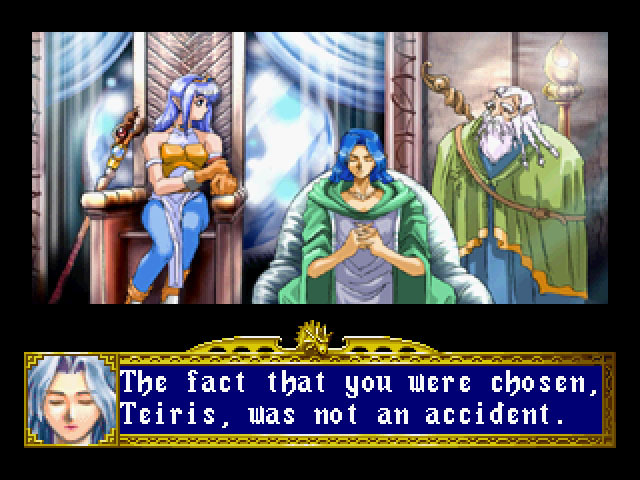 Sega used Working Designs’ English translation for the European release of the game. Dragon Force focuses on a continent wide war between various kingdoms and empires. The continent is called Legendra, which is a terrible name. There are eight total kingdoms to choose from, but only six are initially available. The rest are unlocked after the first time beating the game. Each kingdom gets control of various Generals, either by recruiting them by searching in various castles, or by recruiting captured commanders. There are ten different types of Generals, each with their own strengths and weaknesses. There are ten main types of common soldier types as well, and each of these have strengths and weaknesses as well. The manual includes a table detailing the effects that common soldiers have against other types. Now, with so many different countries and stories to choose from the game is built in with plenty of replayability. For this review I just played one scenario from start to finish and dabbled in a few others. I picked Highland as my main campaign, and after playing it this one does seem to be designed to be a tutorial type of campaign. Highland is rather isolated so you do not have to worry about border wars early on, and there is an easy peaceful annexation of Palemoon. It makes me think that Lord Wein and the elf Queen Teiris will be more than friends after this giant war. Given this easy annexation I then stormed Tristan to basically conquer the entire Eastern half of Legendra. The rest of the conquest then focused on the Western half, picking off kingdom after kingdom until I finally took down Goldark. The threat continues as the evil being Madruk is still working to be awakened, so simply conquering Legendra is basically the first half of the game. This game is quite fast paced in the beginning, but gets bogged down in the middle. You can just run around and storm castles all day long, making sure your enemies have little and later, nothing to counter your assault with. Once you’ve finished the conquest absolute chaos ensues but you can basically spend the time just grinding levels until you’re ready to easily blitz through the rest of the game. Turns start taking quite a long time though when you’re storming castle after castle and being counterattacked. Just before I was done conquering it wasn’t unfounded to have single turns take nearly an hour or more! So this game ends up being a major time sink, and its why I’ve just been pecking at it for months while I stroll through other games. Each one of these scenarios by itself is quite long and rewarding, and if you could only pick one Saturn game to have on the system until the end of time, and only that one game, this would be a great candidate. Is it worth the price tag? It is if you enjoy the game and play through every single campaign to see the story unfold from so many different perspectives. This game is not cheap though, so in most cases it may be one of the last games that anybody collecting for the Saturn will pick up.